About Alpine Lodging: Wyndham Vacation Rentals offers more than 200 vacation rentals. 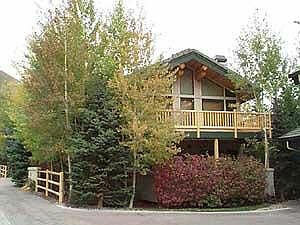 Their Sun Valley lodging options range from condos and townhomes to private residences. ResortQuest even has pet-friendly vacation rentals, allowing you to bring your dog along on your Sun Valley vacation. Â» Platinum - Exceptional accommodations, marked by unique design, that offer superior, quality furnishings, luxury features, designer appointments, and top of the line kitchens, baths and amenities. Â» Gold - Upscale, well appointed accommodations, with a designer touch, featuring excellent furnishings, special features, and top quality kitchens, baths and amenities. Â» Silver - Inviting, pleasing accommodations, tastefully decorated featuring quality furnishings and contemporary kitchens and baths. Â» Bronze - Comfortable, pleasant accommodations that provide many of the comforts and conveniences of home. A deposit equivalent to 50% of the room rate plus entire Reservation Fee of 8% is due at the time of booking and final payment is due no later than thirty (30) days prior to the arrival date. Cancellations made thirty (30) days or less prior to arrival will be charged for the full amount of the reservation including all applicable taxes and fees. Cancellations made thirty-one (31) or more days prior to arrival will be charged an amount equivalent to 18% of the rent plus the 8% Reservation Fee. There will be no refunds for early departures or late arrivals. All reservations are subject to a one-time $150.00 cancel fee. The management company requires that all reservations include a non-refundable clean/resort fee of 8% plus tax. Varies: Generally 3-7 nights depending on season.